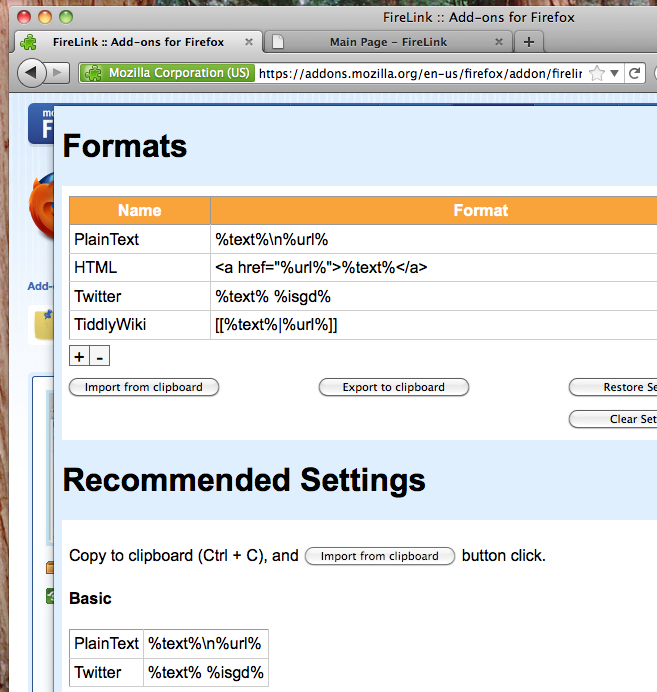 Compatible with various formats, such as HTML, Twitter, MeidaWiki, PukiWiki. 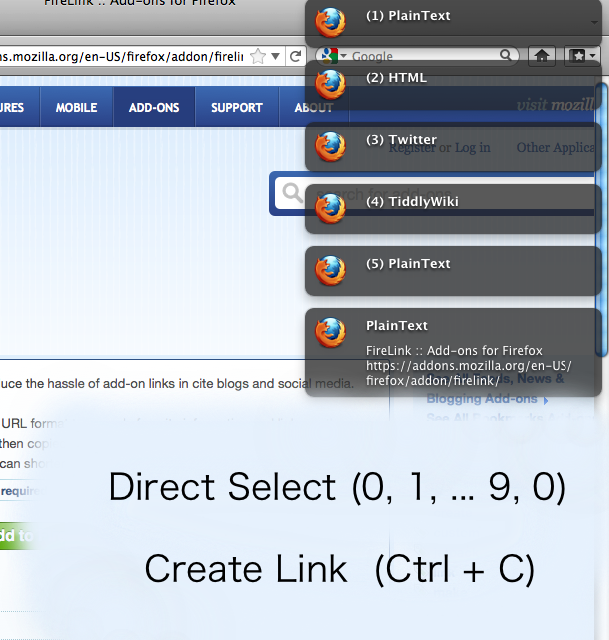 Only with the keyboard toggle link types & copy. 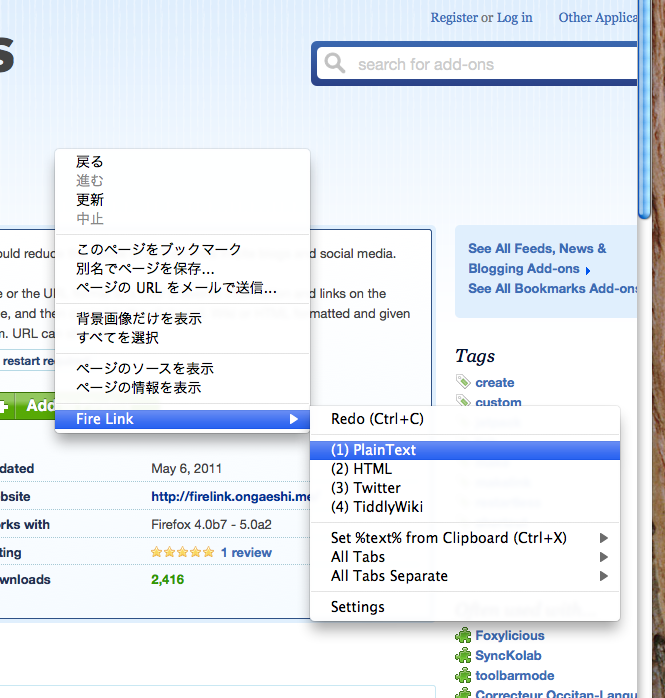 Create your own link format. Edit the title, URL and link generation.